Junior hockey is coming back to Nevada. 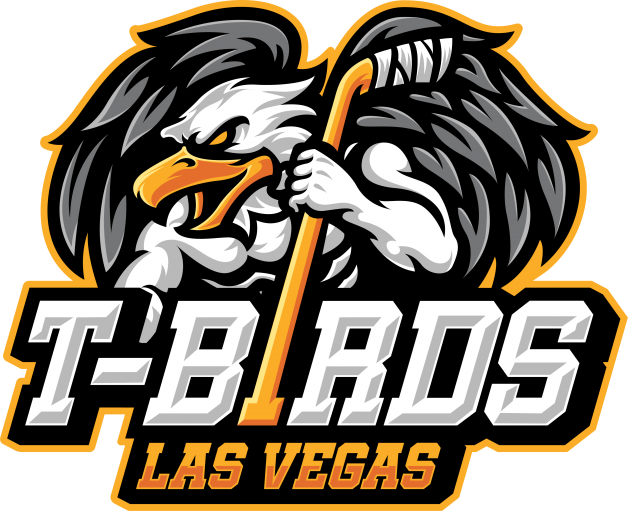 Beginning with the 2019-20 season, the Las Vegas Thunderbirds will join the Western States Hockey League (WSHL), calling the SoBe Ice Arena its home rink. The Las Vegas Storm played in the WSHL during the 2014-15 season, while the Nevada Gamblers (1997-99) and Nevada Rattlers (2001-03) also called the WSHL home at one point in the league’s 25-year history. John Marks is the president of the Thunderbirds organization and is elated to be a part of the league. “The WSHL is a very competitive and opportunistic junior hockey league for players to showcase their skills to the next level,” said Marks. “The ownership group, headed by Corey St. Germain, is very excited about the 2019-20 season. Our relationship that has been formed with the Fiesta Rancho Hotel and Casino, along with the adjoining SoBe Ice Arena, will assure our team an exciting experience for both players and fans. Bill Modrich heads up the Thunderbirds’ hockey operations and had a big hand in getting the franchise a spot in the WSHL, where it will play in the Western Division. “The conversation began with the WSHL to start a new team in the Phoenix area,” Modrich said. “The challenge became finding ice for eight homestand weekends. After attempting to make it work with a couple facilities in the Valley, the ownership group decided to shelve the idea for a season to see what we could do next year. A few weeks went by and we were contacted about whether or not we would be interested in starting a team in Las Vegas. With all that has been going on with the growth of hockey in Las Vegas, this was an attractive offer. What will make the Thunderbirds sustainable in Vegas? WSHL commissioner Ron White loves the addition of the Thunderbirds. The Thunderbirds will have a vastly knowledgeable staff on board to get things going. Marks, played for the Chicago Blackhawks for 11 seasons, played and coached NCAA Division I college hockey at the University of North Dakota, and spent many years coaching in the ECHL, USHL, SPHL and IHL. The team’s coach, Dave Hyrsky, spent time as a player and coach in Canada and then went overseas where he coached at numerous levels of international play. For the inaugural season, Modrich has realistic goals in mind for the Thunderbirds.